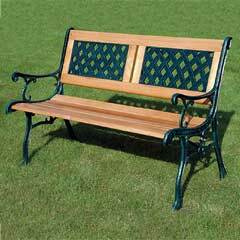 The Ellister Stamford 3 Seater Bench will complement any garden, or patio. It is a beautifully designed bench that is equally suited to enjoying your morning coffee on your decking, or sitting looking at your garden from the lawn. 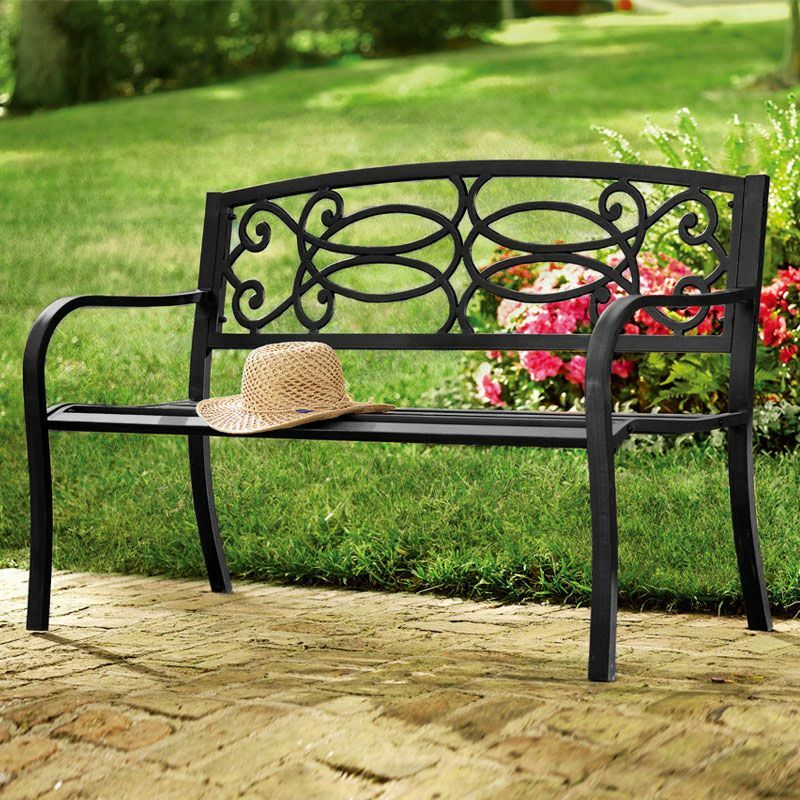 Manufactured from Iron tubing with a cast iron back panel, this bench is strong, durable and weather resistant. It has been coated with a polymer based, UV protected, electrostatic powder spray – a definite advantage with garden furniture. 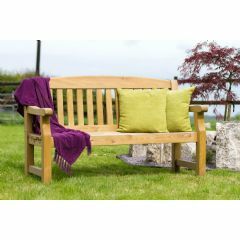 This stylish bench will look equally at home on your patio, terrace or in your conservatory, giving you a fantastic place to either sit in quiet relaxation, or sit with friends or family. Click here for Instruction Sheet. Very well packed, no chance of damage in transit. I put bench together myself (no choice) which was just about manageable, despite it being made up of just 4 pieces! Very heavy bench, which means it won't blow away. 'Distressed' black/bronze finish, stylish pattern - looks good in my garden. Very happy with my purchase. Very happy with this garden bench. It was pretty straightforward to put together and is nice and solid. Looks good in the garden too! Very happy with it. 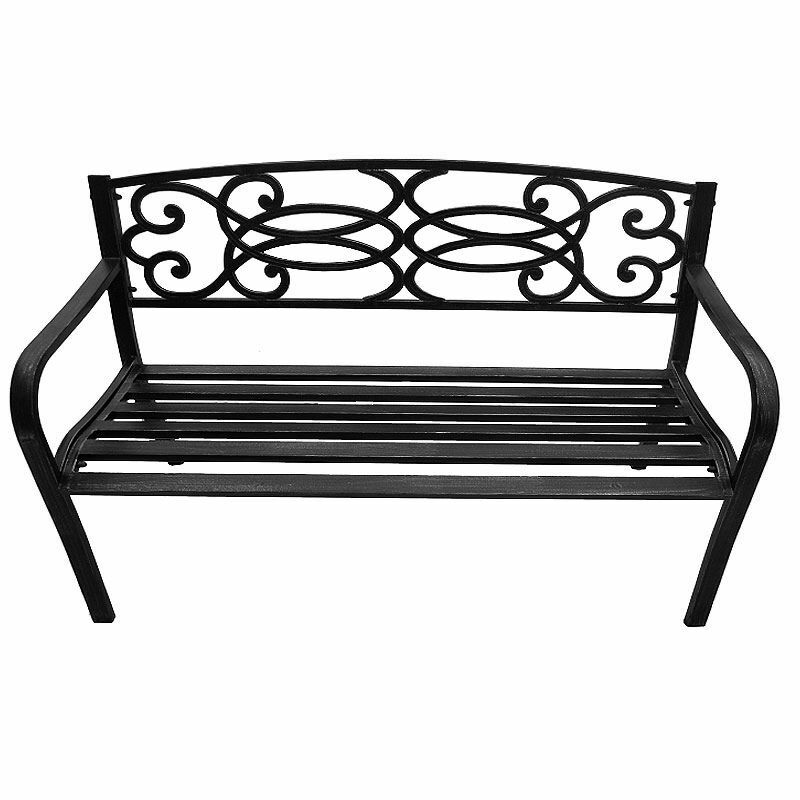 Were looking for a metal bench to replace an old one and after checking out a number from several suppliers this one, although not cheapest (but far from dearest), was our preferred design and seemed best overall value. So far we are very pleased with it and, as an added bonus, it was very easy to assemble. I am really impressed with these benches. I purchased 2 for my patio. They are very sturdy, look really nice and are very easy to assemble. Excellent value for money. Most benches similar to this have wooden slats that rot and are more expensive. This was easy to build, heavy, looked great and being a three seater, seats 2 in comfort. Would highly recommend. 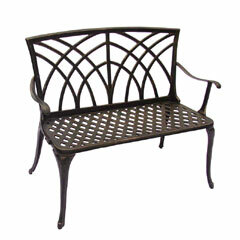 Very pleased with this bench, the bronze colour looks great. Easy to put together, I managed this by myself. Great value, looks more expensive than it was. My bench arrived very quickly and is even more than I wished for. The quality is excellent and the style would suit a variety of gardens. I highly recommend this company. I ordered two of these benches, which both arrived on time, and in good condition. I was expecting them to be fully assembled when they arrived, but they arrived flat packed This was not a problem as they were quite easy to assemble, and when did so they looked great, as expected. Only downside was it took a while to find bench cushions to fit them.